What is the Greatest thing Evangelical Christians can Learn from Mormons (and other questions)? Recently I received some comments on an old article I wrote about Mormons being born again. I reached out to a friend of mine I met through this website who is a pastor at Addisville Reformed Church in Pennsylvania. I want to thank Doug Dwyer for taking the time to answer my questions and hope that it helps both Mormons and Christians from other faiths see where we have common ground. 1. What is your definition of a Christian? Romans 10:9 speak of holding to Christ’s Lordship and his victory over the grave. Digging a bit deeper here I would say that a Christian is someone who has submitted himself (herself) to the lordship of Jesus Christ over their lives and has placed their hope and confidence in his atoning death and victory over death through his resurrection. 2. Do you consider Mormons to be Christians? I consider you a Christian. I have met Mormons who I sensed the Holy Spirit’s presence in their lives. I do not consider all Mormons Christians. Nor do I consider all Presbyterians or non-denominational or Catholics Christians. You have to live in the reality of Romans 10:9 and not all church going people, including Mormons, have sincerely done that. 3. Where do you see common ground between Christians and Mormons? Wait-you just asked me if Mormons are Christians and then you ask me to speak of common ground between “Christians” and “Mormons” a bit confusing! Let’s change “Christian” to “Evangelical” as that is the group within Christianity that I identify myself with. We share many things in common. Our culture, morals and worldview are similar. We both strive to know and love Jesus Christ. We both feel great concern for the direction our society is going. We both are the brunt of jokes by those in the world-with all the talk of tolerance Mormon and Evangelicals are not shown it by this society (I would say even more so Mormons). We both love our kids and want them to grow up to be God loving and people of integrity. We both look to the promised hope-Christ’s return. I imagine many Mormons and many Evangelical waking up in the morning and praying and hoping-perhaps today! 4. Where do you see difference? Joseph Smith and the restoration. Evangelicals may seem very judgmental to Mormons but we are officially apostates in the Mormon understanding of the church. We (Evangelicals) find it hard to get a handle on just what it is that you do believe. The whole exaltation concept just sounds strange. The fact that there are many gods seems to fly in the face of our Scripture. Your temples seem mysterious. Your understanding of Priesthood and your belief in the Book of Mormon and native people being somehow Jews-seems foreign to us. Aaron-when I have asked you about some of these things-like exaltation you say “to me it means becoming more like Christ-I really don’t think much about it beyond that.” I’m not sure what to make of it! Is it a goal to become a god or is that just some doctrine from the 19th century that is no longer spoken of. That is just one example. There seems to be layers of Mormon teaching and thought-and because your beliefs are dynamic and evolving it is hard for us to wrap our brains around what you now think verses what was taught in the past. And what is still believed but not discussed very much-at least for now. 5. Where do you feel the greatest challenges are in building the gap between groups? Because of our past history-we are suspicious of each other. Whenever Mormons and Evangelicals get to know each other-those old attitudes start to fade. When you begin to build relationships and get to know the person-it changes your opinion-I know it has mine. Hatred grows when you dehumanize the other person. 6. Where do you see a need for Christians and Mormons to unite in a common cause and why? The push to redefine marriage and the homosexual movements success in turning their agenda into a civil rights issue and what all that means for our churches. In the recent issue with the BSA (my church holds charters to Cub and boy scout units-both my sons went through scouting-Dan is working on his eagle and David is an eagle scout) I looked to your church to help me work through this issue based on the recent vote. We both need to be united when it comes to Religious Freedom in this nation. Disaster relief-during the recent tornado in Oklahoma when I saw Mormons and Evangelicals working side by side doing cleanup and recovery-that was a beautiful picture for me. I hope some friendships were made! 7. Is your perspective on Mormons the same as most Christians? No-I have studied the Mormons and their story since I was in high school and have had a genuine love for them since then. Evangelicals are pretty ignorant about Mormons. They get the polygamous sects confused with your church all the time. Many think Mormons still have plural marriages-I set them straight about that. If many met and spoke to Mormons they would see them as being Christian. Among leadership I believe it is slowly changing and becoming more positive. 8. What is the greatest thing Christians can learn from Mormons? You do a better job in the discipleship of your children. Family Home evenings, seminary before school, service in the church and mission-we fall far short when it comes to raising our children in the knowledge of the Lord. I agree with everything Doug had to say and feel good that he sees some movement towards common ground between the faiths. I feel that it is slowly moving to where Evangelicals and Mormons are “playing nicer in the sandbox” and as Doug states, even working side by side. What are your thoughts on these questions? Also, are there any other questions you would have asked? Thanks for asking me to take part in this. God bless you! Thanks Aaron and Doug for this great post. This kind of interfaith exchange is so very needed. I want to add some thoughts that I think might help soften the apostasy concern I read in the post. Although Latter-day Saints hold that the great apostasy occurred (the falling away of Christ’s true church about a century following His death and resurrection—necessitating in our view a restoration of the gospel fulness that Christ personally instituted), I don’t view our friends of other faiths as apostates. In order to be apostate by our definition, one has to fall away from a truth he has found and held. Non-LDS Christians are holding to the truths they know. All of the reformation churches were efforts to move away from the apostasy of old (such as Luther’s recognition that the Catholic church had strayed far from the teachings of Christ and the Holy Bible). I hope that other, more contemporary efforts to found new (or continue older) Christian traditions & churches are done so with the desire to establish purer and fuller views of the truth in Christ. So, for me as a Latter-day Saint, I just think of other Christians as progressing sons and daughters of God, on their own faith journey, just like myself. We will all continue to grow in our faith and knowledge of the gospel as we continue to strive for it in Christ—and we’ll accomplish this all the more if we continue to try to kindly combine forces. Thanks for the opportunity, Aaron, to comment on this great article. I appreciate your having made such an open place to discuss the gospel online. That essentially is the common denominator. There is no basis for Mormonism being a corrective to authentic Christianity–that is exactly the claim Mohammed made about his Islam–a fact with which Smith was very smitten and which he sought to emulate with his own novel of the Nehites and the construction of his theocracy. The BoM is to Smith/Rigdon as the the Koran is to Mohammed. In that case, we might want to explore what LDS has in common with Islam–which is what might be equally productive as Grace for Grace. I read the interview of Doug with great interest. Thanks again to Grace for Grace for being willing to be used by God in pioneering inter-denominational bridges of understanding. I know he catches flak from both sides. But God will reward him! As a side note, I agree with Doug’s insinuation that GraceforGrace seems to condemn his own group when he refers to non-Mormon Christians as “Christians” and to Mormon Christians as “Mormons”! Thanks to Brandon for his nice words. It’s nice to hear from Ezra again. 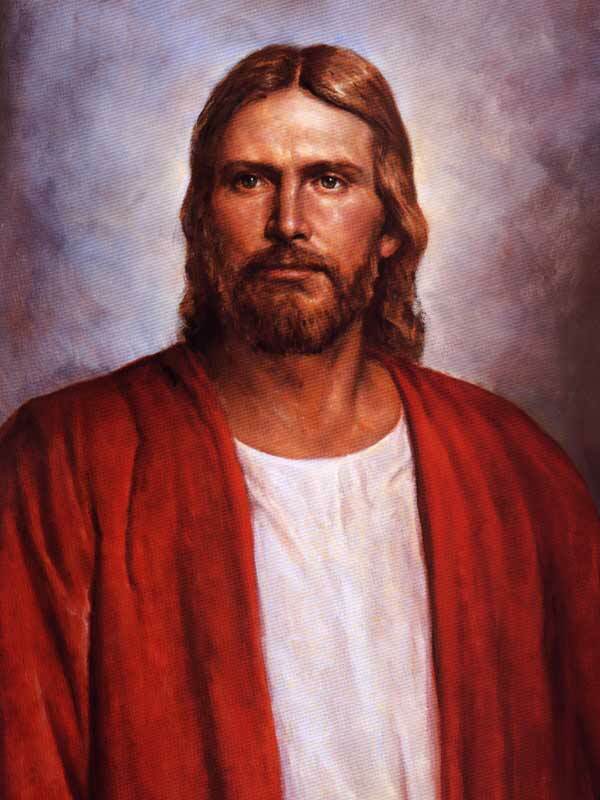 Ezra, the Book of Mormon testifies that Jesus is the Son of the Living God. I have been told that the Koran DOES NOT! Islam is diametrically opposed to God’s merciful invitation to all humankind, including Muslims, to receive forgiveness for sin and eternal life through faith in the Lord Jesus Christ. It is hard to put into words how encouraging this blog post is to me. I am an “evangelical” Christian, (in my mind, just a Christian – Romans 10:9-13, also II Nephi 33:6-7) , and my firstborn son John is an LDS Christian, serving a mission in Bologna, Italy. After some terse arguments in our home, I began looking for common ground between our two perspectives, and have found, personally, that what is crucial to believe, we both believe. Two things helped greatly: a conversation with Alonzo Gaskill, a professor at BYU, and a book, “How Wide the Divide: A Mormon and and Evangelical in Conversation”, by Craig Blomberg and Stephen E. Robinson, which Alonzo recommended that I read. As someone posted before, if anything, we should be provoked to jealous, compassionate action in reaching out with the Gospel by the example the Church of Jesus Christ of Latter Day Saints has consistently and increasingly shown. The hour is late; the need is great. Let’s pray for each other, love and encourage each other earnestly, as we are here to seek, save, and serve the lost in Jesus’ name. Thank you to everyone who is living His love, and letting their light shine before men. And if you think I’m in error, pray for me. It can’t help but be good for both of us. Wow, Mark, I’m so happy that the Lord has shown you through a BYU professor and a book by Blomberg—which I also have read much of—that what is crucial to believe, we both believe. I bet it has helped your relationship with your son! I can assure you with all my heart that you are right. Don’t let anyone talk you out of what God has shown you. Having been away on vacation and with limited internet I was blessed by the comments made. Appreciate your gracious spirit, Brandon and would love to have the opportunity explore this issue of the restoration further. Bless you Mark for supporting your son on his mission and working through some of the sticky points regarding how we differ in some areas and what that means. Again-thank you Aaron for providing this wonderful opportunity for all of us to share what is on our hearts! Thanks for the link Cal! I’ve been reading Rough Stone Rolling (with some stops and starts) and will pull some thoughts and questions together. How long ago did you go on mission and where did you serve? You had some thoughts or questions about the Restoration. What exactly are your questions? Perhaps I can write an article about it. I would also be curious to learn about your perspective on the need for the Reformation and if you fee the original Christian church Christ established was corrupted over time, etc. Thanks Aaron and Brandon for prodding me on the Restoration issue. Back in April I was blessed to travel to Israel with members of my church (including a lady who was 104!). One of the places we journeyed to was Caesera Philippi. It was here in the time of Jesus that a beautiful pagan temple complex was built-one of the temples was built into the mouth of a vast cave that was believed to lead to the underworld-called “The Gates of Hell”-I actually peered into it-really creepy!. It was here at this site (amazing that Jesus would bring his followers here!) a place of idolatry and false worship that Jesus made some pretty amazing and hotly debated comments (Matthew 16:13-20).. Among them was that the gates of hell (as I understand it-the world and its false gods and wicked ways) would not be able to withstand the church and that in the end the church would triumph.. I can not deny that false teachings and error have come into the church-I believe that the Holy Spirit continues to correct and discipline the church-but I do not believe in a total falling away. I believe that God has always had a faithful remnant (Like in Elijah’s day in 1 Kings 19) that have prevailed. Latter-day Saints believe in a total apostasy of the church and a need for the ancient church to be restored-I believe the Lord would not allow his church to cease (I believe Matthew 16 implies that) and that there has always been faithful followers of Jesus that have not “bowed their knees to Baal” so to speak..
So-in a nut shell: while we both believe in a great falling away-it comes down to what degree.. I look forward to your thoughts guys! I see you guys have an important discussion going! Doug, I’m reading Rough Stone Rolling now, too (with stops & starts, too)! I’m finding it interesting, in-depth, and objective. Aaron, I have another idea for an article. Someone contacted me thru my site with the following question: “What do you say to Bible-believing Christians who are contemplating (or planning) to marry a Mormon? (And be married by the woman’s Mormon bishop)?” He said someone who is somewhat close to him is contemplating that!